An ex-Mormon gay girl trying to figure out life. Hi. We’re Mary and Shelly. Together we’re telling the story of Shelly, the Latter-Day Lesbian. She was born and raised Mormon, got married young, birthed 7 kids, left the religion, came out of the closet, got divorced, and at this point she’s just trying to make sense of it all. So now what? It’s life, and we wanna talk about it! Join us for some laughs and some tears. It’s raw and honest, funny, painful and hopeful all at once. Now playing on your favorite podcast app. In this episode, Shelly reveals a secret family recipe. Maybe don't try this one at home, kids. Also, we read a listener letter to a parent, and Shelly talks about one of her own. And will Mary guess the FUMPOTD or will she just sort of guess it? Either way, it's worth a listen - at least we think so. Enjoy! 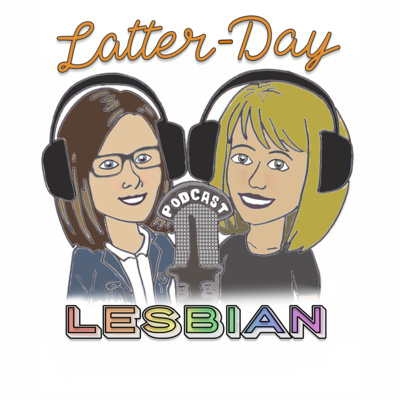 Latter Day Lesbian 14 - May We Have Your Attention? We have some important announcements in episode 14. Also, we read some amazing listener email. Seriously, you won't even believe it. Finally, Shelly gets all caught up in the feels...again. It's a good one!